The Knight Campus for Accelerating Scientific Impact is a new initiative to expand the University of Oregon’s strengths in interdisciplinary scientific research and training, with a specific focus on facilitating innovation and accelerating the pace of societal benefit and impact of discovery. This major expansion in the research capacity of the university will change the profile of the University of Oregon in perpetuity. This effort therefore needs to be supported by physical infrastructure that similarly elevates the university to new heights. 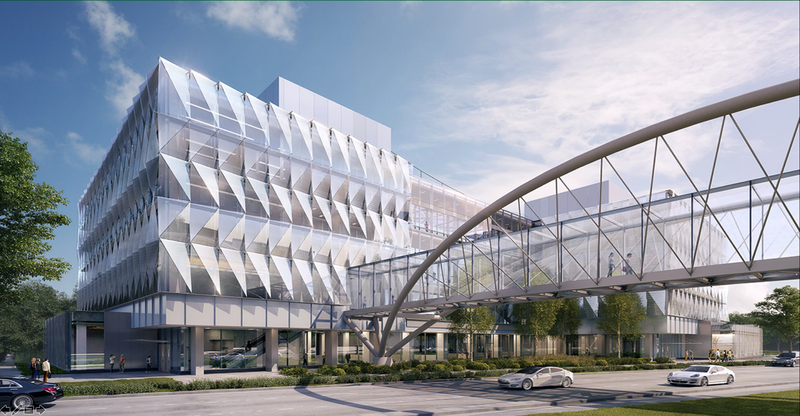 The ten-year vision for this effort involves the construction of three new science buildings on the north side of Franklin Blvd, which currently separates the Knight Campus physically from the center of the university. The initial project focuses on the construction of the first two buildings. The overall vision for the Knight Campus includes bringing several dozen new researchers to the university. We will design research space flexible in terms of ease of reconfiguration that provide a supportive environment for a high degree of interactions among research groups. While the functionality of the research and teaching spaces within the Knight Campus are of primary importance, we also seek to construct a set of buildings that are architecturally significant, that inspire those working within them, that engage the faculty, staff and students of the university, and that are forward looking in their stance conveying a university that is at the forefront of innovation with a bright vision of the future.